La estrella del heavy metal Ozzy Osbourne (70) preocupÃ³ a sus fans en el mundo al anunciar la cancelaciÃ³n de todas sus presentaciones de su gira No More Tours. El motivo fue un accidente casero que requiriÃ³ cirugÃ­a. De acuerdo a lo que anunciÃ³ su equipo a travÃ©s de Instagram, Osbourne habrÃ­a tenido una caÃ­da bastante fuerte que agravÃ³ lesiones que tuvo en un accidente en cuatrimoto hace 16 aÃ±os. Aquellas lesiones requirieron cirugÃ­a inmediata, la cual no fue sencilla debido a que el lÃ­der de Black Sabbath se recuperaba de una NeumonÃ­a. Lo cierto es que el artista estÃ¡ internado en una clÃ­nica privada de la ciudad de Los Angeles (Estados Unidos) bajo el cuidado de un equipo mÃ©dico. OZZY will postpone all his 2019 tour dates, inclusive of shows in North America and Europe, as he recovers from an injury sustained while dealing with his recent bout of pneumonia. The Rock and Roll Hall of Fame inductee and GrammyÂ®-winning singer and songwriter and 2019 GrammyÂ® Special Merit Award recipient fell at his Los Angeles home aggravating years-old injuries (from his 2003 ATV accident) that required surgery last month. OSBOURNE will remain under doctorâ€™s care in Los Angeles as he recovers. 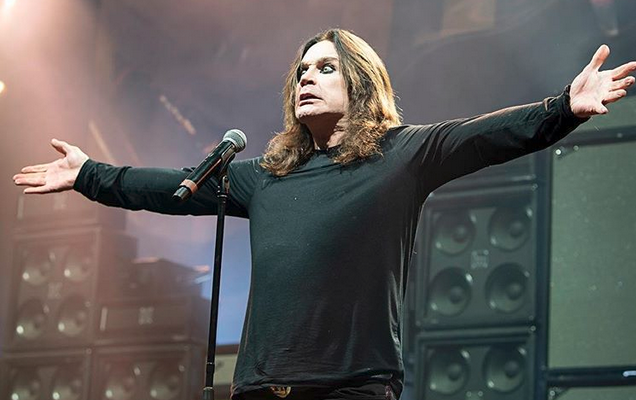 Says OZZY: â€œI canâ€™t believe I have to reschedule more tour dates. Words cannot express how frustrated, angry and depressed I am not to be able to tour right now. Iâ€™m grateful for the love and support Iâ€™m getting from my family, my band, friends and fans, itâ€™s really whatâ€™s keeping me going. Just know that I am getting better every dayâ€¦I will fully recoverâ€¦I will finish my tourâ€¦I will be back!â€� The shows will be rescheduled beginning in February 2020 and concert-goers are being asked to hold onto their original tickets, as they will be honored for the rescheduled dates. Because some of the 2019 dates were festival appearances, not all will be rescheduled. Below are the new North American dates; the Los Angeles Hollywood Bowl show will be rescheduled in July 2020, exact date TBA. The 2020 UK and European dates will be announced in the coming weeks. “No puedo creer que tenga que reprogramar todas fechas de la gira. La verdad es que me siento frustrado, enojado y deprimido por no poder realizar el tour en este momento. Pero estoy agradecido por todo el amor y el apoyo que tengo”, expresÃ³ Ozzy. No obstante, el intÃ©rprete de Crazy Train dejÃ³ un mensaje para tranquilizar a sus seguidores, en el cual expresÃ³ que terminarÃ¡ su Ãºltima gira musical desde 2020 en adelante. “Â¡TerminarÃ© la gira! Â¡EstarÃ© de vuelta!”, precisÃ³ en la oportunidad. Cabe seÃ±alar que Osbourne se presentÃ³ en el Movistar Arena el pasado 08 de Mayo, en lo que habrÃ­a sido su Ãºltimo concierto en tierras nacionales.